Pakistan: Moving the Economy Forward by Rashid Amjad and Shahid Javed Burki was launched at Lahore School of Economic this morning. Here is an overview of the book. The central question that the contributors to this volume seek to answer is how to reverse the current prolonged period of low growth and high inflation—stagflation—that the country has experienced over the past five years, and to suggest and implement measures that would decisively move the economy onto a higher, more sustainable growth path. The first is the urgent need to revive investment, which has fallen dismally to 12.5 percent of GDP in 2011/12 from its peak of 22.5 percent in 2006/07, by improving the investment climate and removing binding constraints—especially in energy—on new domestic and foreign investment. Pakistan needs to increase its investment-to-GDP ratio to over 30 percent over the next decade if it is to generate sufficient employment to productively employ its fast-growing labor force and compete effectively with other rapidly growing developing countries. However, in the medium term, investment may continue to be constrained by resource availability and so, in the near future, a large part of the revival of growth will have to come from exploiting unused capacity and productivity gains. The second is that Pakistan’s economic problems are basically structural and not just cyclical in nature. Deep economic reforms are needed to remove structural imbalances to increase efficiency and competitiveness, and to spur entrepreneurship and innovation in the economy. Undertaking these reforms will require political will and a carefully sequenced pace of critical reforms so as to ease the burden of adjustment. The third is to overcome the binding constraints to Pakistan’s growth in order to revive the economy and ensure sustainable growth. These include overcoming the crippling energy shortage, increasing revenues to regain macroeconomic stability and reduce the current unsustainable fiscal deficit, and ensuring the availability of water to meet the needs of the agricultural economy. 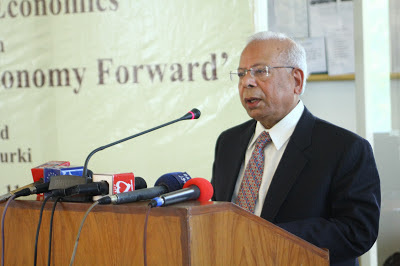 Dr Ishrat Hussain, former Governor State Bank of Pakistan and Director IBA Karachi called for bridging the gap between policy-making and research. He also called for a balance between civil servants who should look at pure technical feasibility of proposals, and politicians, who should assess their political feasibility. He said that implementation and delivery of services was the crux of the problem rather than ‘good’ economic policies. He also recommended minimal role of federal government and a separation between regulatory bodies and policy-making, as well as supporting the operational autonomy of companies’ Board of Directors. 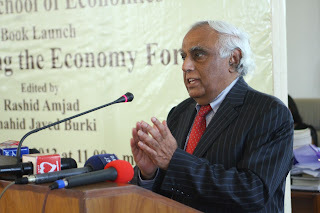 He was chairing the launch of a book edited by Dr Rashid Amjad and Mr Shahid Javed Burki, Pakistan: Moving the Economy Forward on Thursday 30th May at the Lahore School of Economics, Main Campus, Burki Road. He appreciated the editors of the book for publishing it in a short period of time and for its timeliness and the potential assistance it could provide to the new government in Islamabad. Introducing the book, Dr Amjad, who is Director of Graduate Institute of Development Studies at LSE, said that the central question which the book addressed was how to reverse the current prolonged period of low growth and high inflation in the country –stagflation - over the past five years, and to suggest and implement measures that would decisively move the economy onto a higher, more sustainable growth path. He put forward eight key messages namely to revive investment, the structural rather than cylical nature of Pakistan’s problems, overcoming growth constraints, the major growth drivers, improving economic management and reducing corruption, inclusive as opposed to merely sustained and higher growth, the responsibility of federating units and the role of state and private sector. He also recommended increasing investment from the current 12.5% of GDP to 30% to generate enough productive employment to compete internationally. 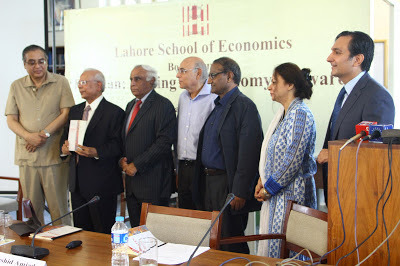 Dr Ishrat Hussain, former Governor of the State Bank and Director IBA Karachi will launch the book edited by Dr Rashid Amjad and Mr Shahid Javed Burki, Pakistan: Moving the Economy Forward on Thursday May 30, 2013 at the Lahore School of Economics, Main Campus, Burki Road, lahore. 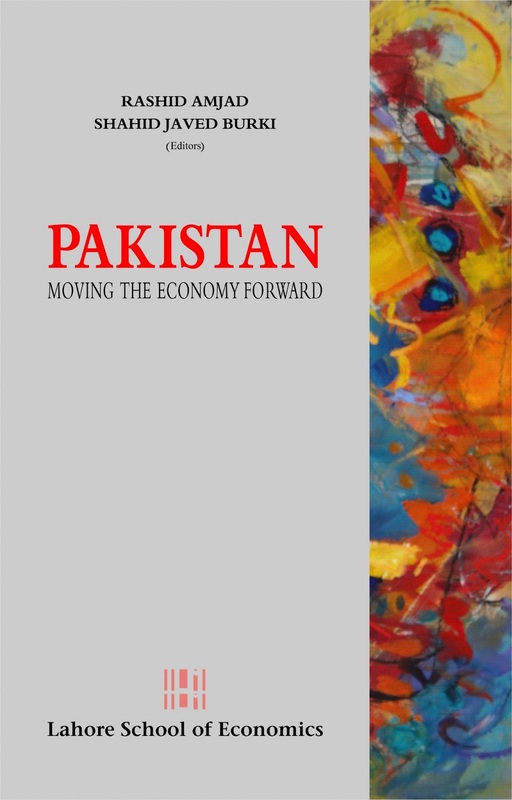 The central question which the book addresses is how to reverse the current prolonged period of low growth and high inflation in the country – stagflation - over the past five years, and to suggest and implement measures that would decisively move the economy onto a higher, more sustainable growth path. 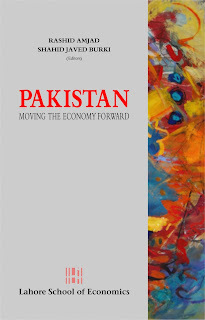 The book includes contributions by eminent economists and national policymakers including former State Bank Governor Dr Ishrat Hussain, former Minister of Finance Dr Hafiz Pasha, former Vice-President World Bank Shahid Javed Burki, former Chief Economist World Bank Dr Pervez Hasan, former Vice-Chancellor PIDE Dr Rashid Amjad, and prominent economists including Dr Naved Hamid, Dr Ehtisham Ahmed, Dr Aisha Ghaus Pasha, Dr Azam Chaudhry and others from a multidimensional perspective. 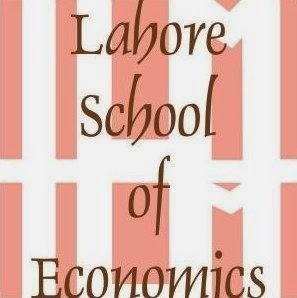 Usman Gillani, the Manager Career Counseling and Corporate Relations at the Institute of Career and Personal Development and Alumni from class of 2003 was invited to Lahore school on May 28, 2013 to give talk to the MBA graduating class of 2013. Mr. Gillani briefed the students on resume writing and how to appear in an interview. He talked about how to plan your career and what the current job market situation is.